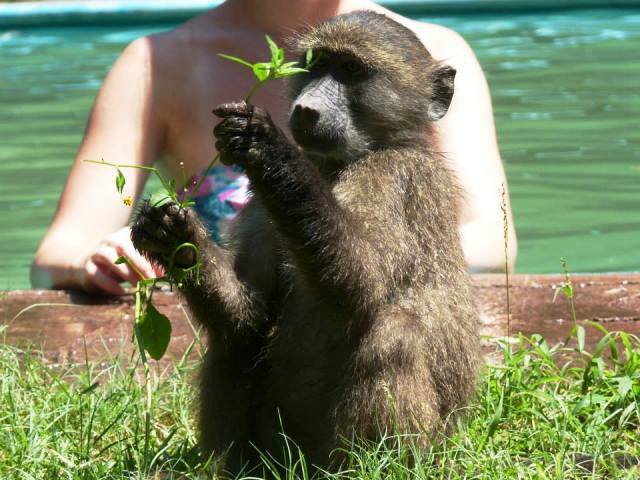 Diana Kerr, a recent volunteer at our monkey sanctuary in South Africa, has a written a fantastic travel blog about her experience. 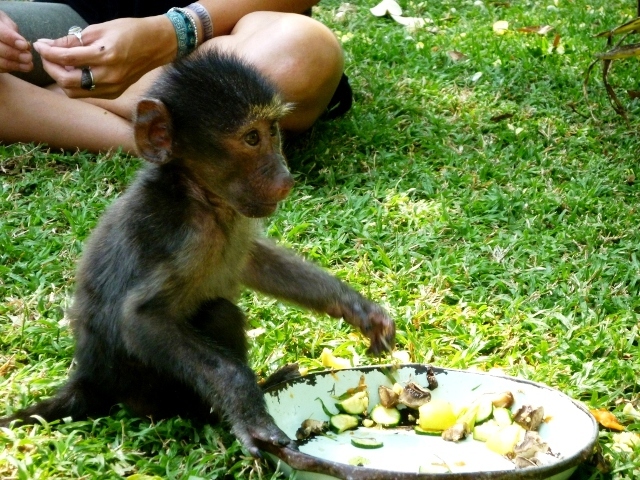 When last August a friend told me that she, her husband and 12 year old son were going to S Africa as volunteers on an orphan monkey project, I decided that that could be my retirement treat to myself! We were met by Dorothy the animal physician who drove us to the sanctuary. We arrived at the centre and were shown around in temperatures of 30+. It has been running since the early 90’s and started with one orphan monkey. 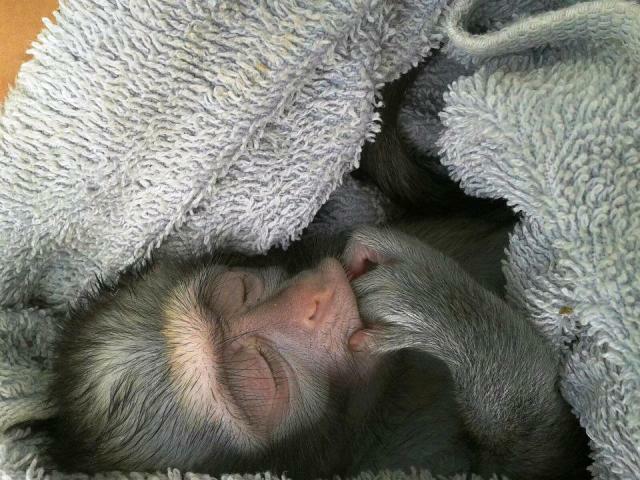 There are now over 40 baby orphaned Vervet monkeys and about a dozen baby baboons. We awoke at 5.30 and after a quick cuppa work began. First job was to get the smaller baby vervets up out of their small baskets (3 to a basket). They are so small that it was possible to feed two at once if required. Once fed, we worked on jobs, including cleaning out Monty and Georgie, the names given to the baboon and vervet large cage/enclosure. All waste food and bedding was removed and the metal cage bars, perching branches and floor had to be scrubbed from top to bottom. Then fresh food put in with hay. After this, the monkeys were put back in but not before a few had escaped on transfer and had to be chased around to get them back. The other main job was food prep and for the first 3 days this was to be my job with about 6 others. Each morning we had to put out 36 crates which all had to be filled with a variety of food. The babies food was chopped much smaller and looked most appetising! I must have chopped about 300 papaya in half! At 9 am, the gong sounded – it was breakfast time! There were three tiny monkeys who had to have 24 hour care and these joined us at the breakfast table, usually tucked in an apron or draped around someone’s neck! After breakfast and a chance to chat to the other volunteers, it was sun cream on and back to work. Previous Post Oyster Volunteer Luggage Tags!